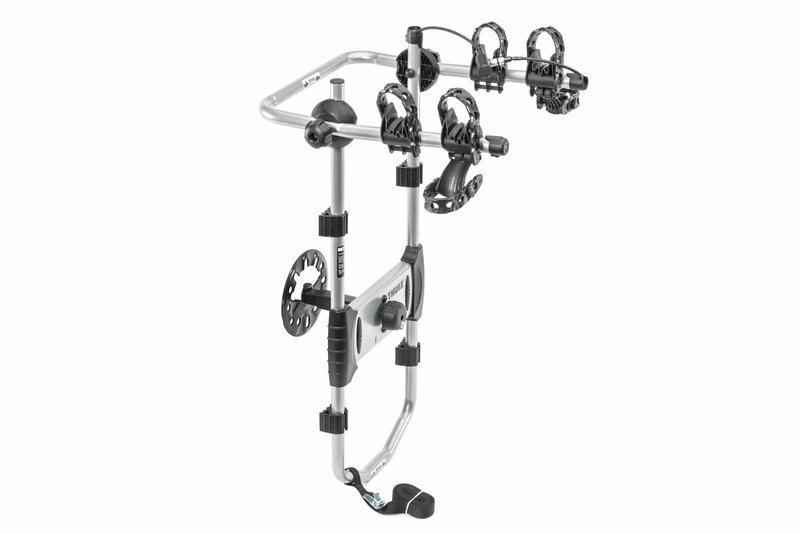 Carry up to 2 bikes on this heavy-duty lockable bike carrier from Thule. 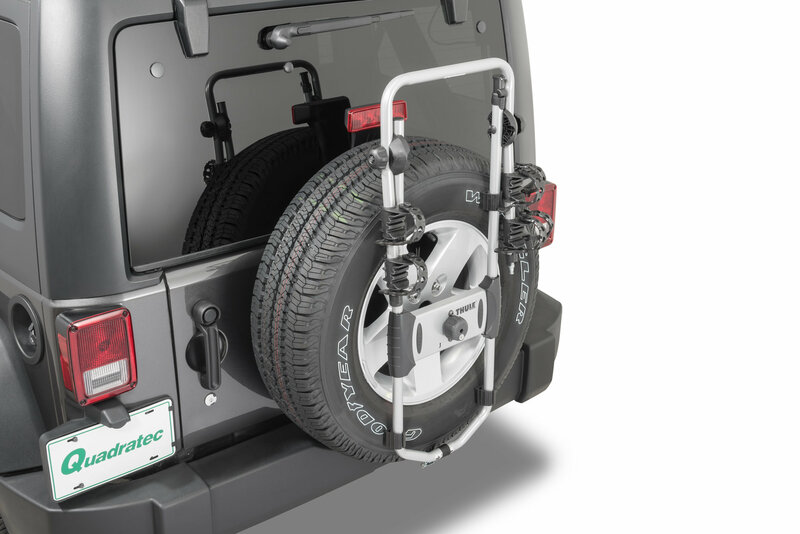 The clever design allows this carrier to be mounted through the spare tire, utilizing the factory lug nuts ensuring a snug and safe installation. 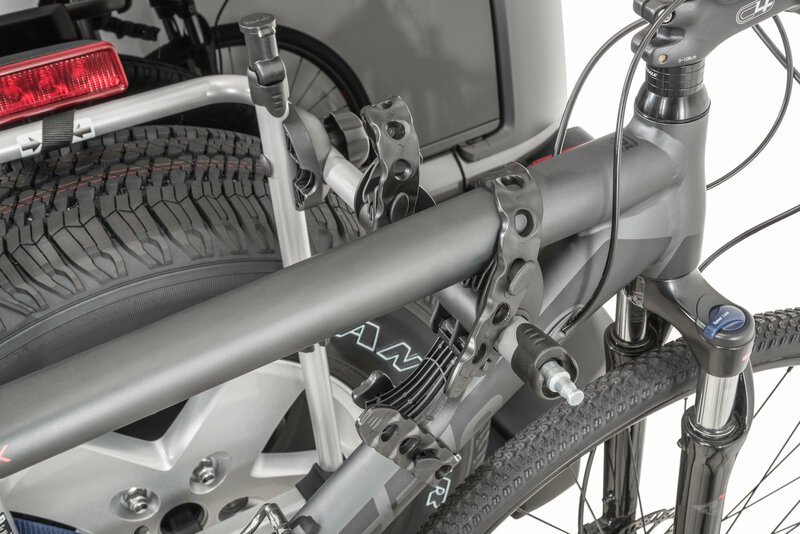 The T3TM Cradles with antisway cages hold your bikes in place for maximum frame protection and stability. 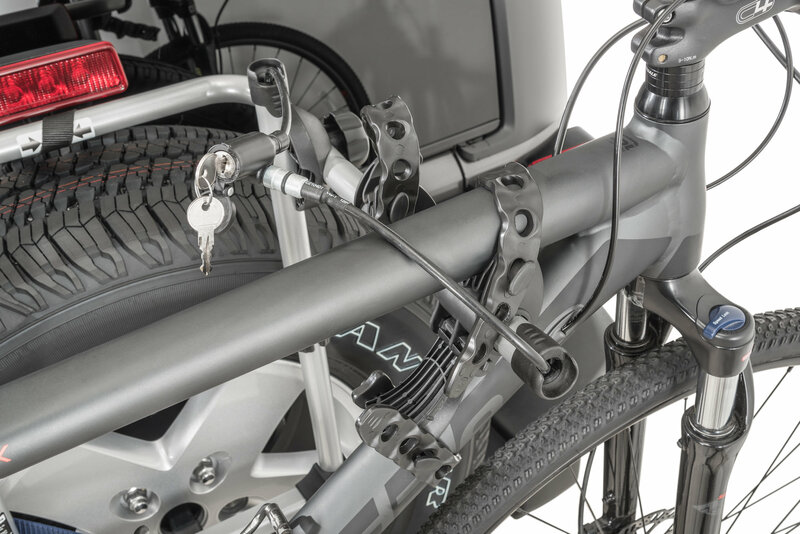 The Spare MeTM carrier includes a locking cable and knob to secure the bikes and carrier to your Wrangler. With the quick turn of a knob, the arms fold down when not in use. Made in the USA. Fits on my 35" KM2, also know a guy that runs it on a 35" AT-KO2. 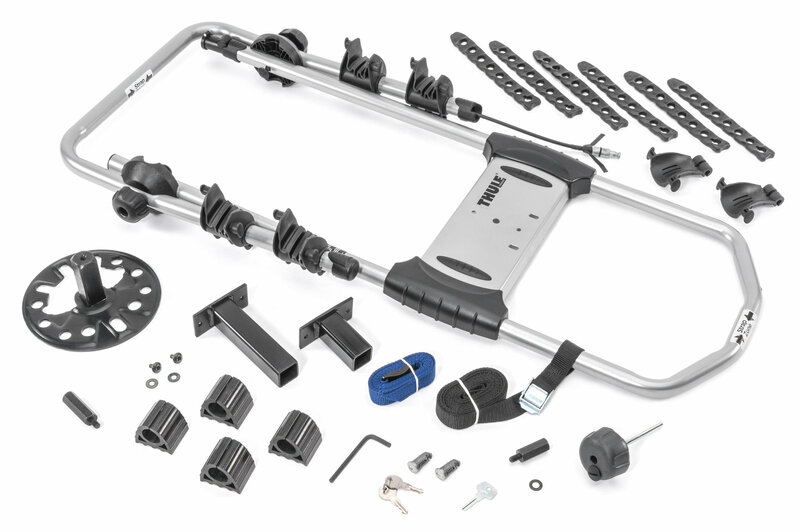 Comes with 2 different length square tub pieces and two lengths of extenders to fit most vehicles, even some larger then stock tires. Love mine works great. 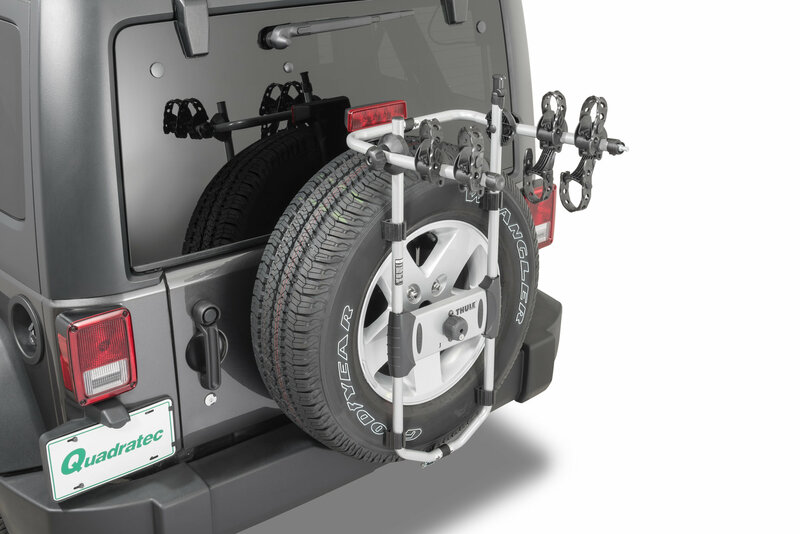 A great tool that keeps your trailer hitch available for other uses. In addition, very practical to keep on your Jeep year-round and easy to use for bicycle transport. 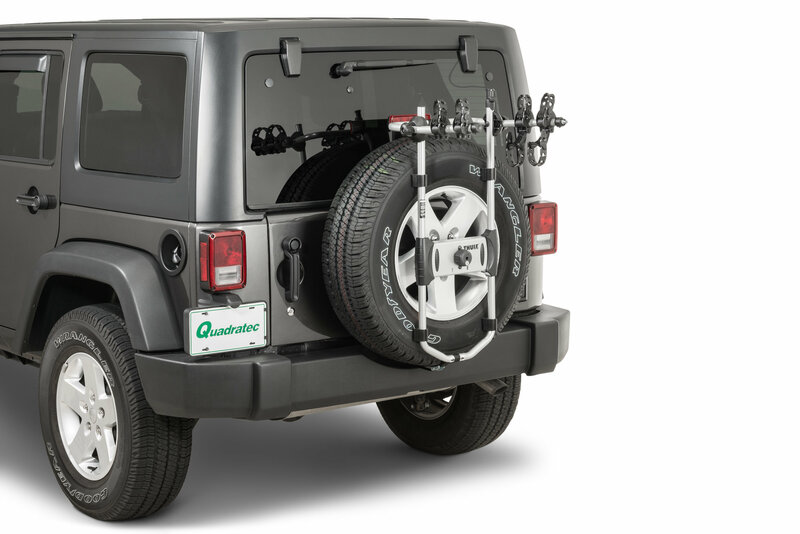 Is this compatible with a 2018 Wrangler JL 4-door Sport Unlimited with the rear camera?